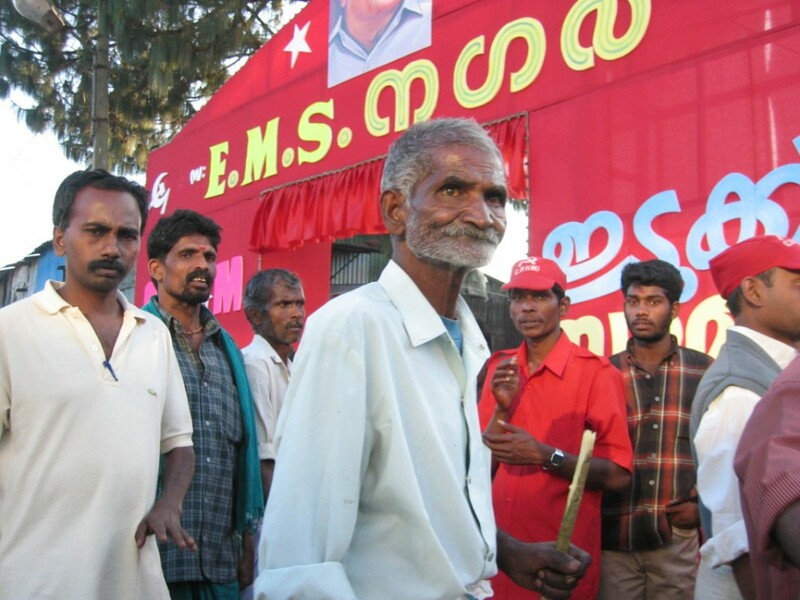 “There were thousands of people who had been bused in from nearby villages all over the area. 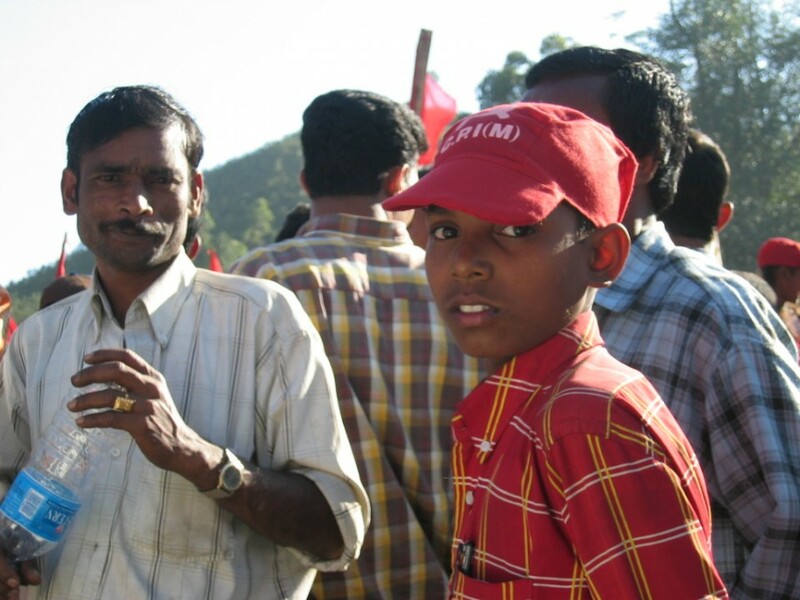 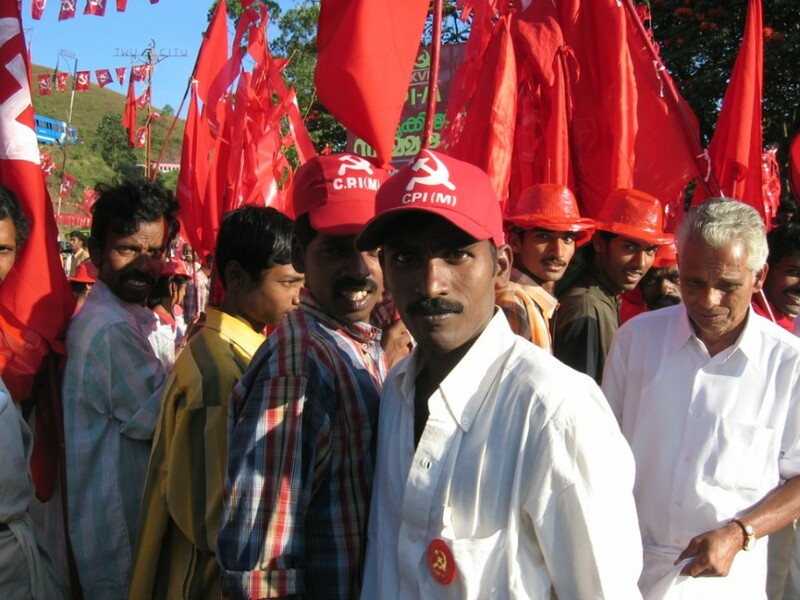 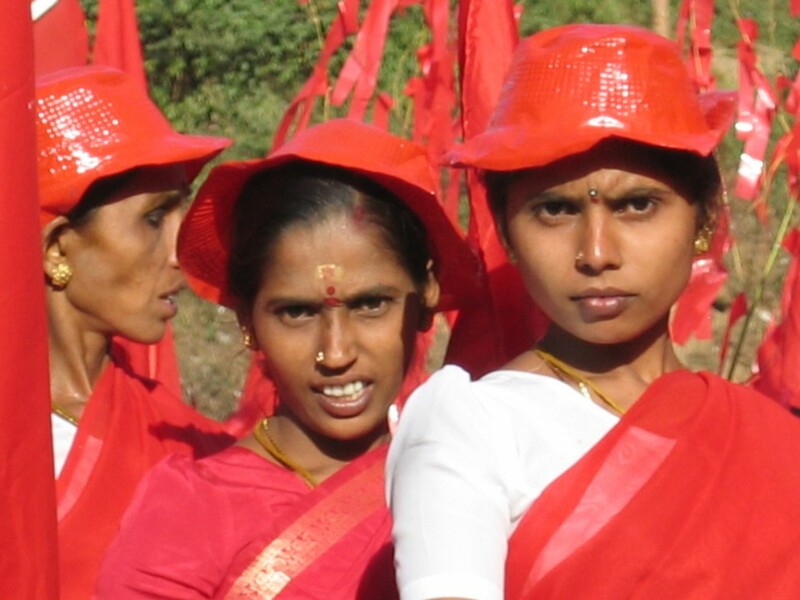 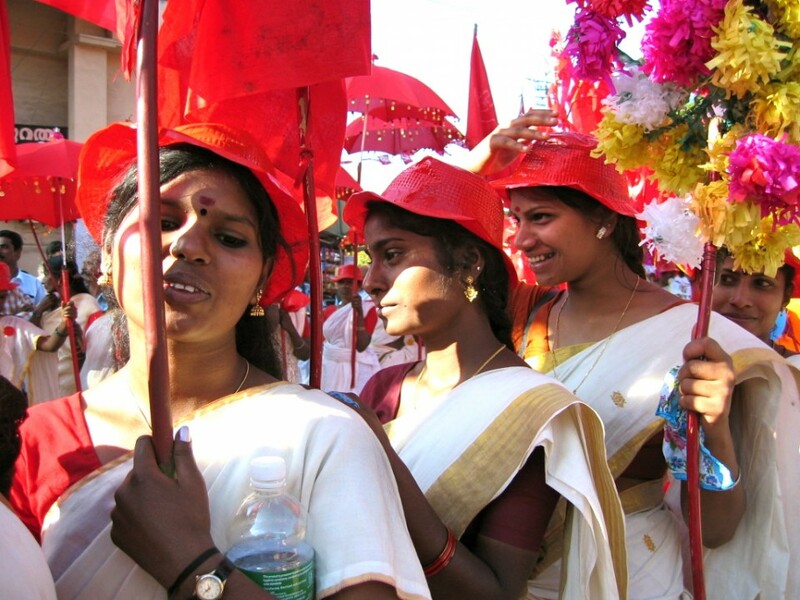 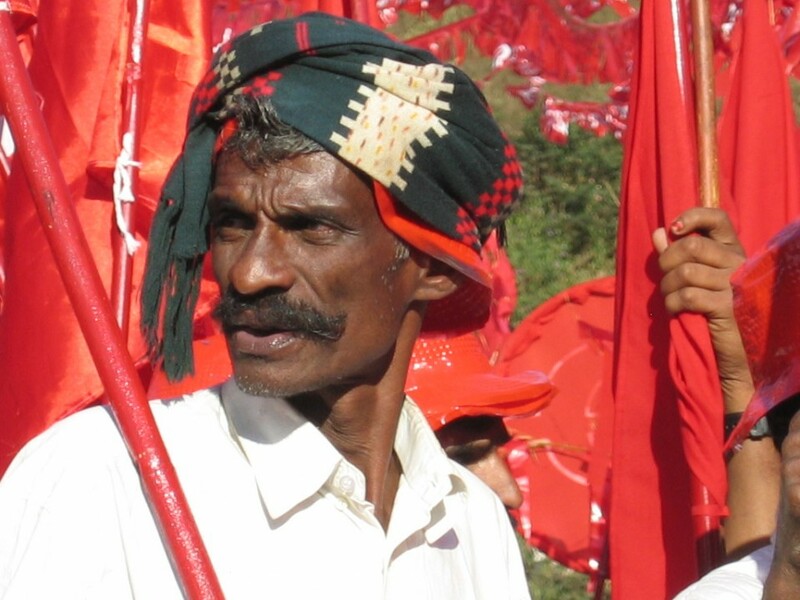 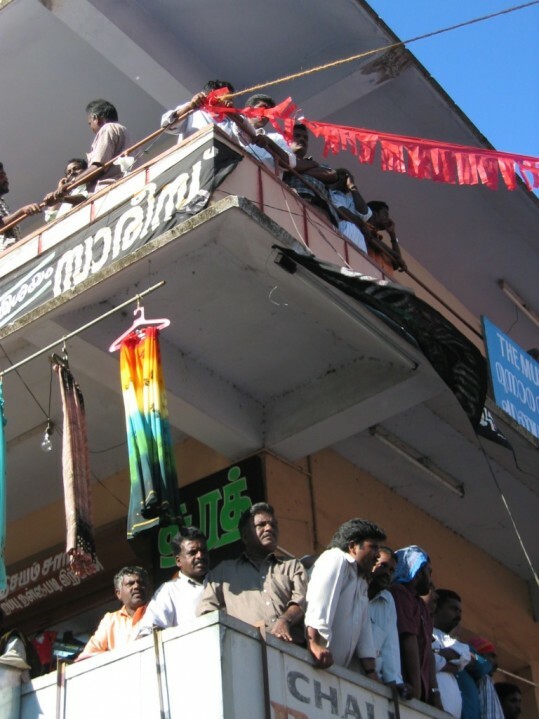 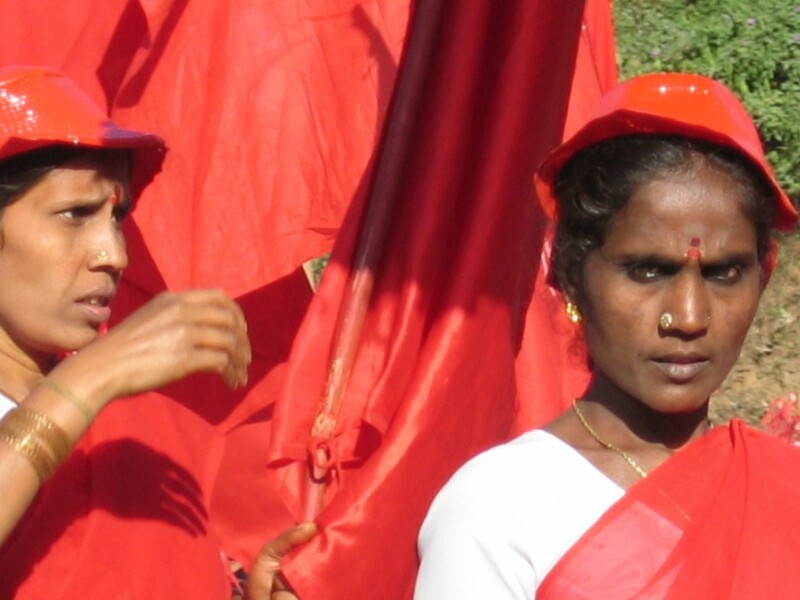 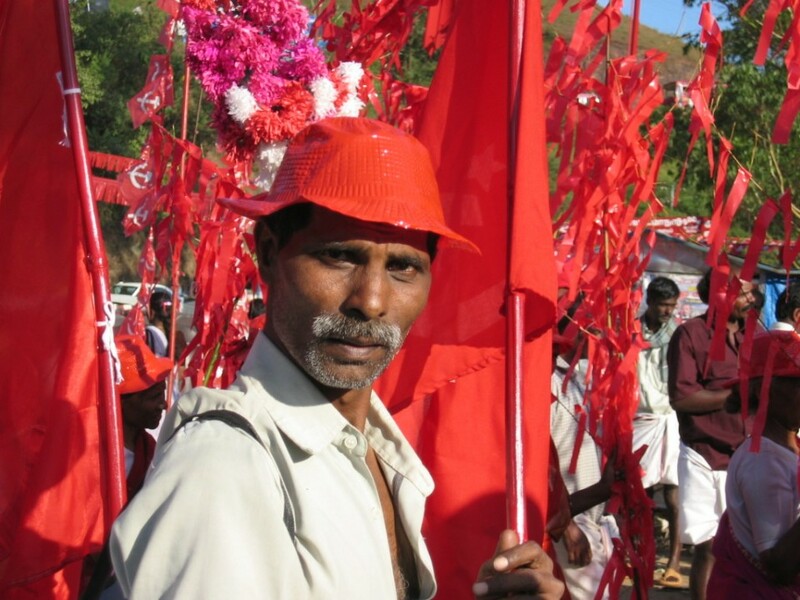 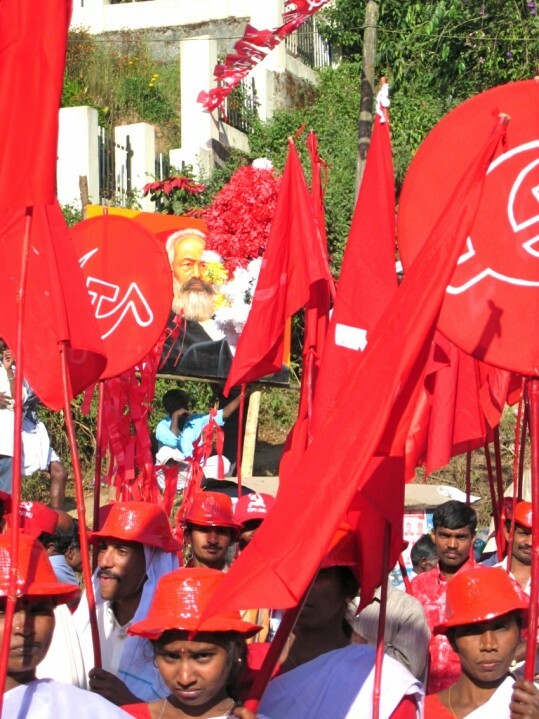 Munnar was decked out in red banners emblazoned with slogans and the familiar hammer-and-sickle symbol. 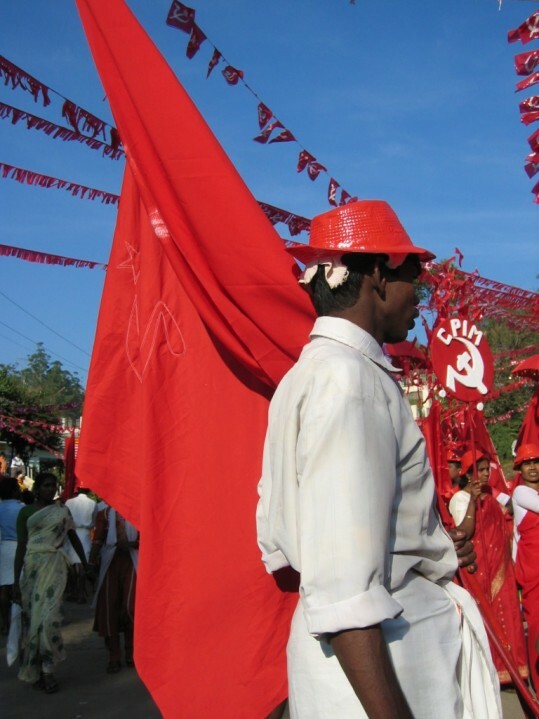 People waved large flags and many wore red caps and carried posters of local leaders. 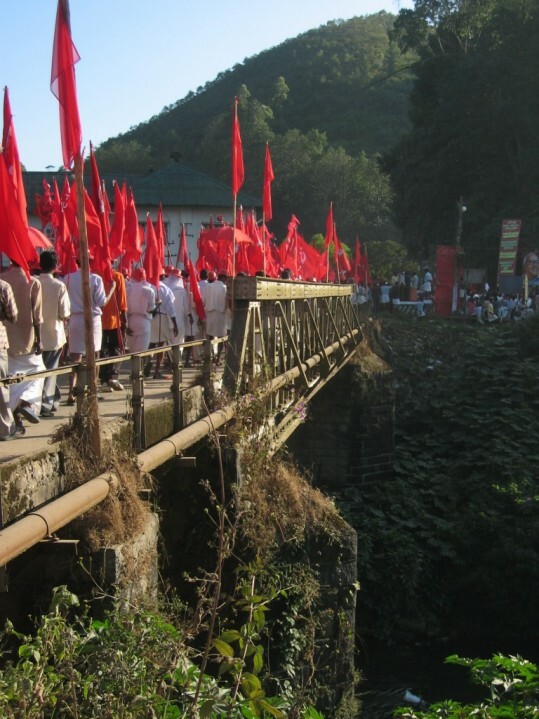 A huge parade proceeded to stop traffic for an hour. 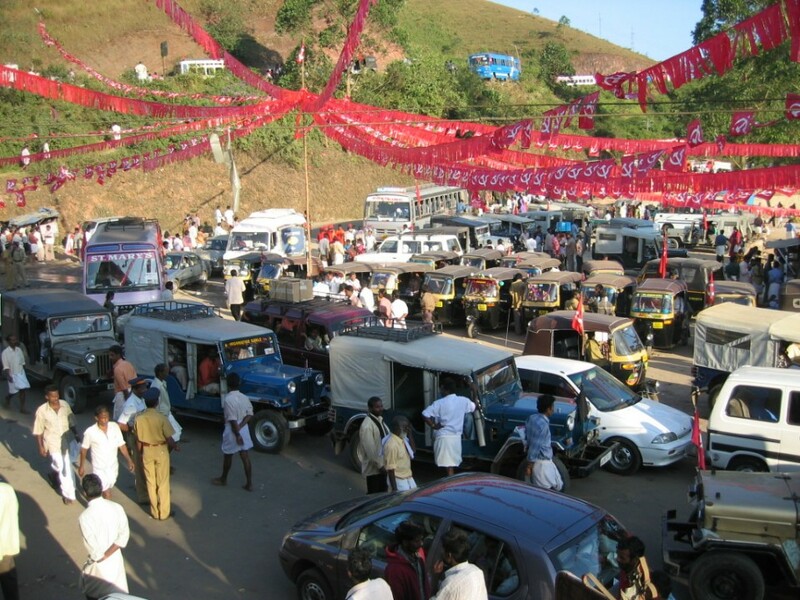 We saw one impatient driver that tried to edge forward through the crowds, but several men grew angry and began to pound on the hood. 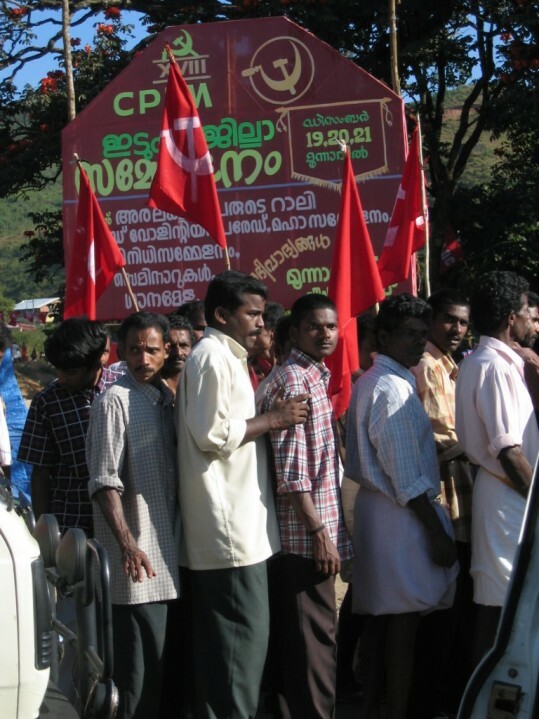 They forced him to back up, and there was a lot of shouting and honking. 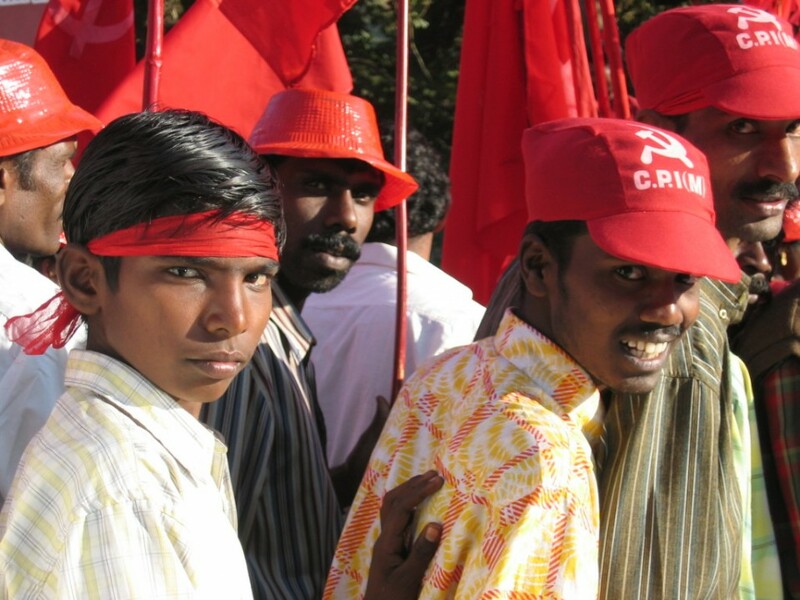 We weren’t sure if it was going to escalate into an ugly fight, but eventually the driver and the men calmed down and the parade continued.